BIG BLUE WAVE: CDC Reports the Lowest Abortion Rates Since Roe v Wade -- Is that Really the Case? CDC Reports the Lowest Abortion Rates Since Roe v Wade -- Is that Really the Case? I'm heartened to read that the US abortion rate is at its lowest since Roe v. Wade. There lots of abortifacient products on the market: Birth Control Pills, IUD's, Cytotec, Plan B. They may contribute to the lower official rates of abortion, but many embryos are still killed by them. I tried to do a quick search for the number of birth control prescriptions written every year in the United States. 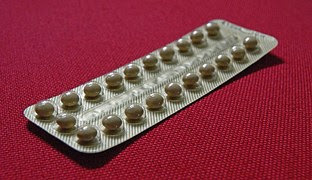 They're not all intended to be birth control (some women use it for PCOS and other issues.) But it would give a good idea about the amount of abortifacient activity that is possibly occurring. If any commenters have historical info on the number of prescriptions or on the dollar figure for abortifacients, that would be great.